A slap from a Leatherback would not be a good thing at all. 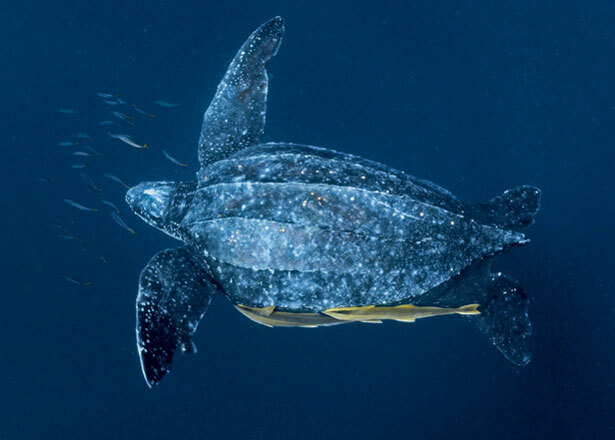 It comes as no surprise to learn that the world's biggest turtle has the world's biggest turtle flippers, but the Leatherback's front flippers are also the biggest in proportion to body size of any turtle. 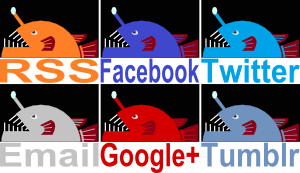 How does a flipper span of 2.7 meters (9 ft) sound to you? I'm afraid to say that deeply impressive arm wrestles are unlikely. Instead, one Leatherback was seen swimming at a speed of 35.28 kilometres per hour (21.92 mph), making it the fastest reptile on land or sea. The poor fellow was scared at the time, though. No-one wants to run around with that kind of pace at all times, but it gives you an idea of the power of these mega-turtles and also the value of their uniquely hydrodynamic, tear drop body shape. Leatherbacks are the only turtles who lack a bony shell. Instead, they have thick, leathery skin embedded with little bits of bone. They are also the only reptile alive who lack β-keratin in their scales. Apparently, this stuff adds more rigidity to reptile skin and is also found in the beaks, claws and feathers of birds. In fact, it's said that the leather back of the Leatherback feels almost rubbery, so I guess that's what a reptile without β-keratin is like. These details are indicative of the fact that Leatherbacks are the last remaining species of a whole family of turtles that have otherwise entirely died out. Good then that Leatherbacks can be found all over the world, using all sorts of adaptations to survive and thrive in cold climates despite being cold-blooded. They almost never rest, the constant activity of those gigantic flippers provide them with lots of heat from their muscles. They also have a lot brown adipose tissue, which is particularly good at creating heat and counter-current heat exchangers in their blood system stop them from loosing all their warmth to the surrounding water. This, coupled with an insulating layer of fat and their sheer size allow Leatherbacks to dip into the cold waters of Canada and Norway. I find it hard to believe they would really want to do that though, especially since they can go just about anywhere they want, right down to New Zealand. 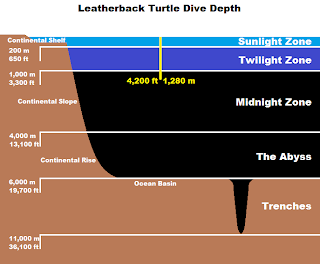 That's not the only "down" that Leatherbacks can be associated with; some intrepid individuals have been recorded diving to depths of 1,280 metres (4,199 ft). They have also been tracked swimming from Indonesia to the U.S., a journey of 20,000 kilometres (12,500 miles) in search of jellyfish to eat. 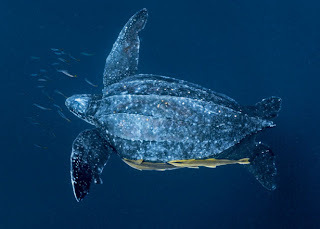 Leatherbacks eat almost nothing else, so to get any real nutritional value from them it's best to seek out a good swarm rather than rely on the odd jellyfish here and there. Maybe it's a bit like popcorn? Although I'm not sure that any quantity of popcorn has any real nutritional value. 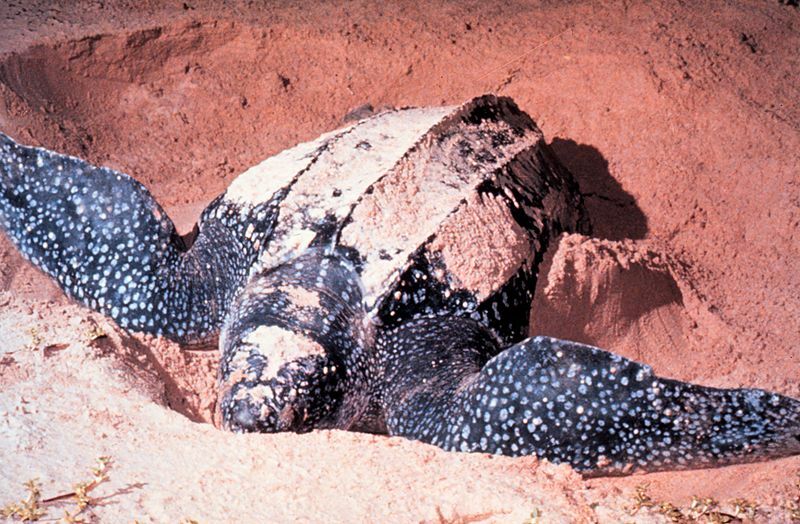 In any case, it can take a Leatherback several years to gain enough reserves to reproduce. Females will then choose a nice, soft beach to climb onto. She drags herself up with her flippers, digs a hole and lays about 100 eggs before covering them up and returning to the sea. It's clearly an arduous and laborious process for one so well accustomed to life beneath the waves, but I guess that's motherhood for you. She may even do this another 8 times in a single breeding season. Nest sites can be found in various locations all over the world. There are loads all over the Caribbean, Central America, parts of South America, various parts of Africa, India, China, Australia and lots of southeast Asian and Polynesian islands in between. 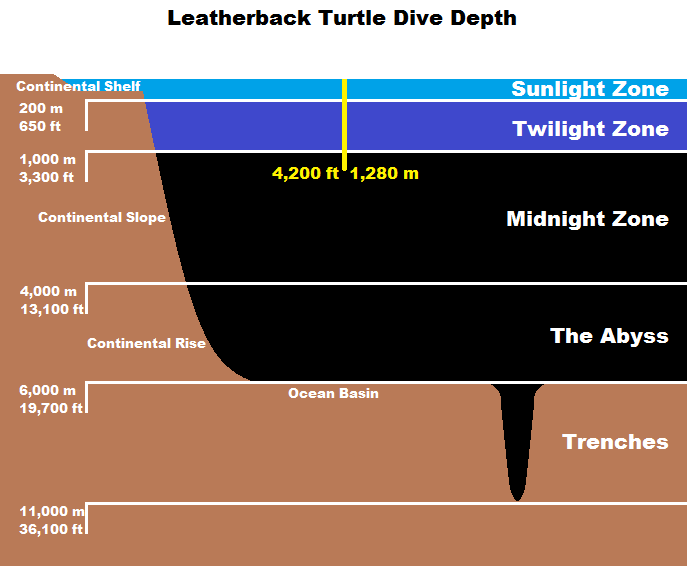 Seriously, Leatherbacks can really get around. The eggs may be dug up and eaten by birds, mammals or sometimes, humans. Youngsters emerge after nightfall and dig themselves out of the sand before desperately making their way to the sea. At this point they may fall prey to yet more birds and crabs. Once underwater they start their lives under constant threat from predatory fish and squid. Eventually they will hopefully reach a size at which they have almost no predators at all. Instead, they could end up dying as an accidental catch in fishing nets, intestinal problems for mistaking plastic bags in the sea for jellyfish or plain old chemical pollution. The extra burden on populations from human activity has led to terrible consequences for Leatherbacks. Some beaches have seen the number of egg-laying females fall by thousands over a few decades. They have now found themselves involved in the ecotourism trade, whereby people pay good money to see living Leatherbacks laying eggs before returning to the ocean whilst still alive. It certainly isn't a perfect situation, nor even a good one, actually it's still pretty dire, but at least an increasing number of people can value Leatherback Turtles as existing creatures if only for pragmatic reasons. It would certainly be a shame to loose one of Earth's most impressive, unique, record breaking animals to a load of plastic bags. No mention of their terrifying esophagus?